Somerville is a city in Middlesex County, just north of Boston. With 75,754 residents in just 4.1 square mile is the most densely populated municipality in New England. Somerville is very accessible and is served by MBTA buses and the Red Line and Orange Line trains. Route 28 and Interstate 93 run through Somerville. Year to date, the average selling price for a home has increased 14% compared to the same period in 2012. The average price for a single family home in Somerville is $530,662 and the average price for a condo is $423,115. What Makes Somerville a Great City to Live In? Somerville is defined by its city squares. 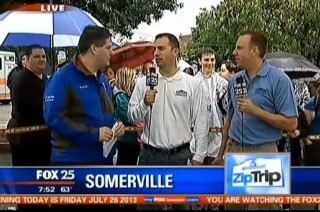 Somerville is made up of city squares such as Davis Square, Teele Square, and Union Square, where we were for Fox 25 Morning News Zip Trip on July 26. Each square offers a mix of ethnic restaurants, bars and shops and small businesses to fit every taste and occasion. Somerville has a large immigrant population that celebrates its diversity through numerous ceremonies celebrating cultural traditions and holidays, such as the Tibet Arts and Culture Festival. There is no shortage of activities in Somerville. Johnny D’s in Somerville has been open since 1969 and showcases musicians of all types, from folk to blues to rock. Local artists make Somerville one of the most vibrant arts centers in the country. Somerville’s arts scene is showcased each summer at the weekend-long ArtBeat Festival. Hosted by the Somerville Arts Council, ArtBeat transforms Davis Square into one of New England’s largest and most innovative arts destinations. Somerville is also host to the Fluff Festival—a series of family friendly activities that celebrates Fluff Marshmallow Crème, invented in Somerville in 1917. The restored Somerville Theatre, built in 1914, hosts movies and live events as well as being home to the annual Independent Film Festival of Boston. 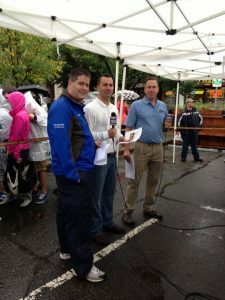 See pictures of the Zip Trip to Somervile on our Facebook Page. There are many dining options in Somerville. One popular spot in Somerville is the Highland Kitchen which serves American comfort food, and Bergamot Restaurant, specializing in incorporating fresh local ingredients in their menu. Somerville is served by the Somerville Public School System that includes East Somerville Community School, Arthur D. Healey School, Benjamin B. Brown School, and Somerville High School as well two Adult Learning Centers. Do you live in Somerville? 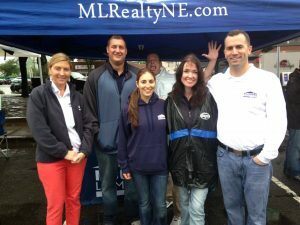 Tell us what you like most about Somerville or send us your photos!